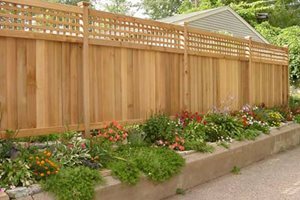 Should your local codes require a fence and you want a hedge, install an inexpensive chain-link fence, then plant an evergreen hedge right up against it so the foliage grows through and hides it on both sides. 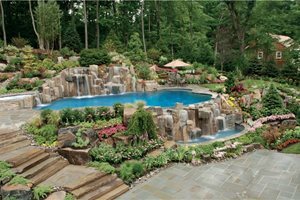 State and local codes require a fence around pools for safety. It is a mistake to site it too close to the pool or try to camouflage the fence. When sited too close it appears that the pool is in a cage. Top of the fence must be at least 48 inches above grade. No more than 4 inches gap between the finish grade and the bottom of the fence. Solid fences should not have indentations or protrusions. Spacing between vertical members should not exceed 4"
Maximum mesh size for chain link should not exceed 1-3/4"
Gates must open outward away from the pool and should be self-closing and self latching. Fence must be clear of all other structures that could be used to climb over. The majority of pool safety fences are made of tubular aluminum or powder coated steel. "We make all of our fences to meet national BOCA pool code, which meets 95% of all codes used nationwide," says Josh Manly of The Iron Shop. "Fencing constructed with aluminum is a perfect choice to surround your pool. 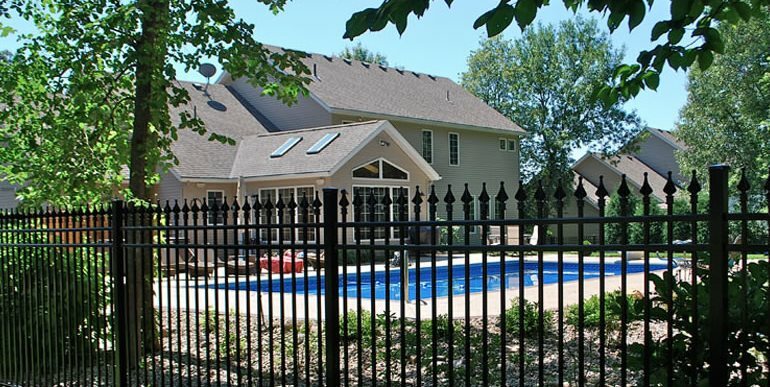 The aluminum construction eliminates rust, while its finish withstands the moisture and chemicals found in the pool environment," explains Chad Hoover of Hoover Fence. 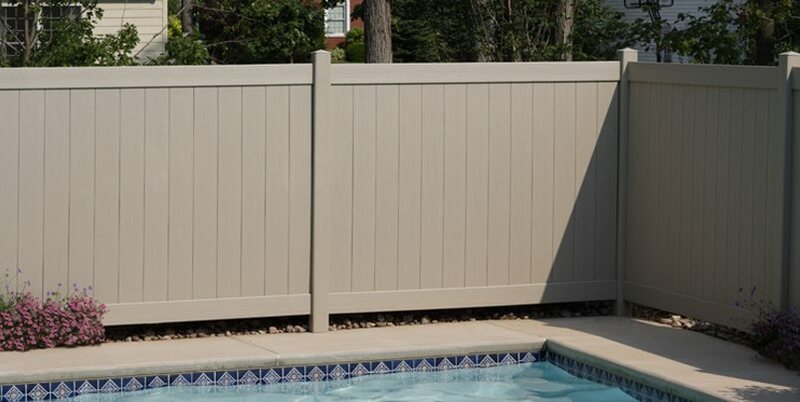 Patti Pelock of CertainTeed, a vinyl fencing leader in the upper Midwest and Northeast, says, "Our contemporary lines are proving very popular for pool fencing because they have the visual appeal of a picket fence while complying with the safety requirements. 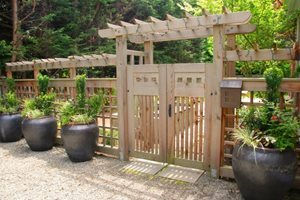 The contemporary fence uses vertical pickets that end in a strong top rail instead of the traditional pickets that extend beyond the rail. 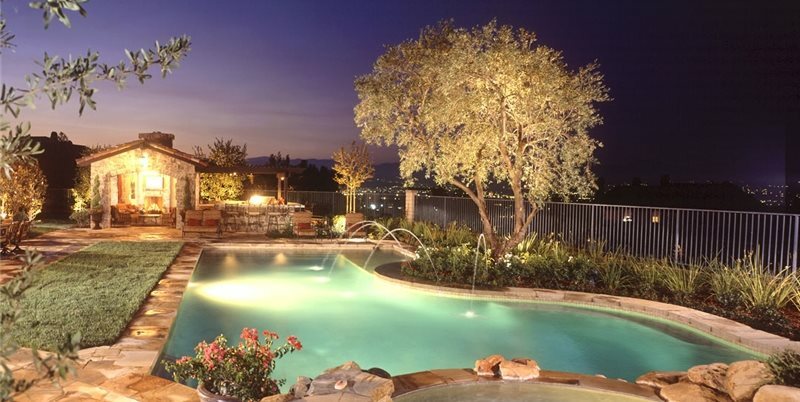 Customers will select a privacy fence from us and then choose a matching pool fence so the whole site is visually integrated rather than having to change materials to suit the pool enclosure."